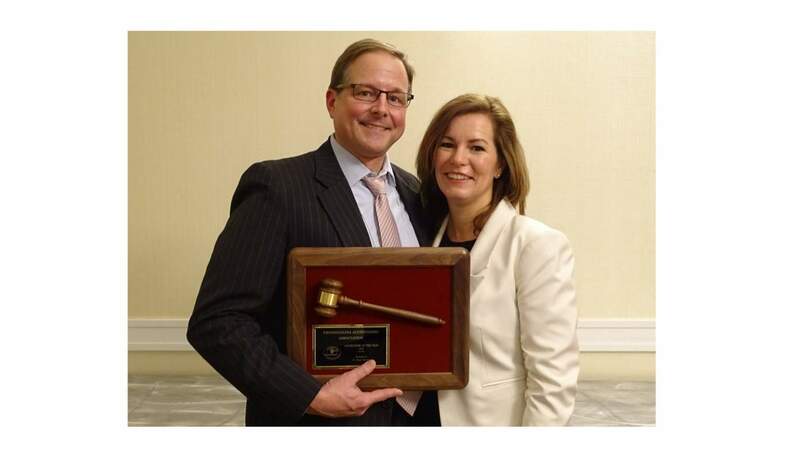 January 24, 2018 – Pennsylvania Auctioneers Association, one of the largest Auctioneer Associations in the U.S., gathered in January for their 70th annual conference in Harrisburg, PA. The PAA is honored to have so many members who have dedicated their careers to the industry and who have made the industry better for all. Several awards are given out each year to honor some of those auctioneers. The recipient of the prestigious "Auctioneer of the Year Award" was presented to H. Brent Souder of Alderfer Auction in Hatfield, PA. The nominations for this award were chosen by auctioneers in his/her area and the winner is selected by her/his state-wide peers. Brent has shown excellent leadership, high ethical standards, willingness to share with others, participation in community affairs, and outstanding contributions to the PAA and the auction profession in 2017. Also at the PAA Conference, Alderfer Auction was awarded with “Best in Show” for their December 2017 Fine & Decorative Arts Auction Catalog. In addition, Alderfer Auction was garnered the traditional first-place PAA Advertising/Marketing Award for their double-page Antique Doll Magazine ad. Alderfer Auction is a regional Auction House with a fifty year history that services the 5-state area. Our team of specialists consign and sell Fine Art, Antiques, Firearms, Coins, Jewelry, Silver and Real Estate. They boast a 10,000 square-foot gallery yet have global reach via online auctions. The auction method creates excitement, urgency and fair market prices. Alderfer Auction is conveniently located in the suburbs of Philadelphia between New York and Baltimore at 501 Fairgrounds Rd., Hatfield, PA 19440. For more information visit www.AlderferAuction.com or call 215-393-3000.